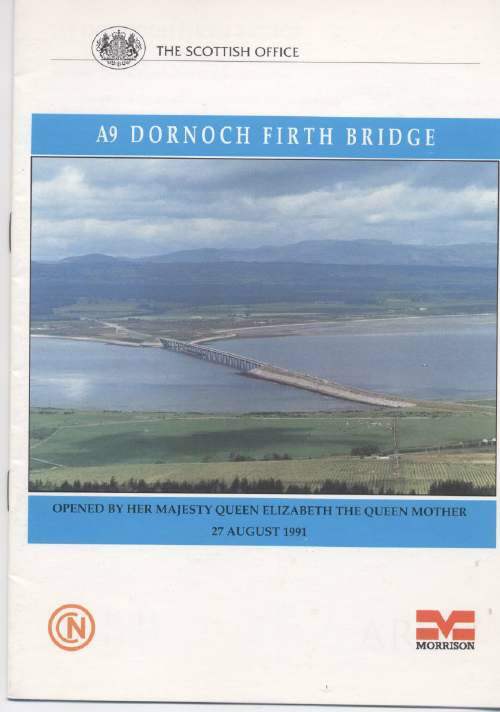 A5 booklet giving a description of the making of the Dornoch bridge with coloured graphics. Bridge opened by Queen Elizabeth the Queen Mother on 27th August 1991. There are 5 copies.